Earlier this week, when I was back at home I had such a lovely day out with my mum. We did some shopping and had a lovely healthy lunch out at Bills. I picked up a few pieces, under a strict colour scheme apparently so I though I would share them with you. The first place I went was Topshop, of course! It wasn't the biggest Topshop but they still had plenty of things to try on. I was actually looking for a pair of jeans after an unfortunate rip in my favourite pair of Zara jeans. And please don't ask where! 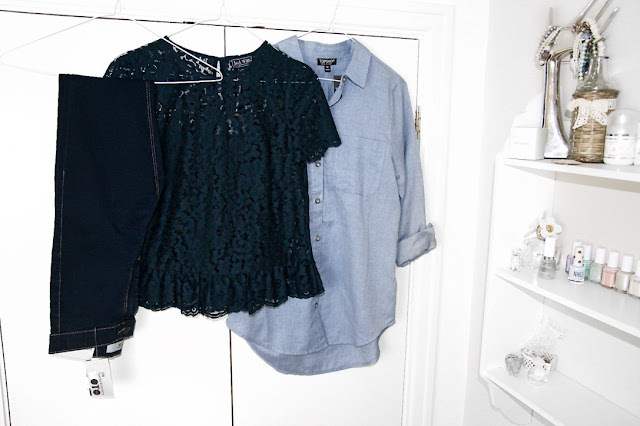 The pair that I ended up getting were the Topshop Joni jeans. They are high waisted which I have never got before (I know!) and in a lovely dark denim. They are very skinny, but that is how I like my jeans, but still allow a lot of movement as they are so stretchy. I am looking forward to wearing these with some pretty cropped tops without having to show much of my stomach! 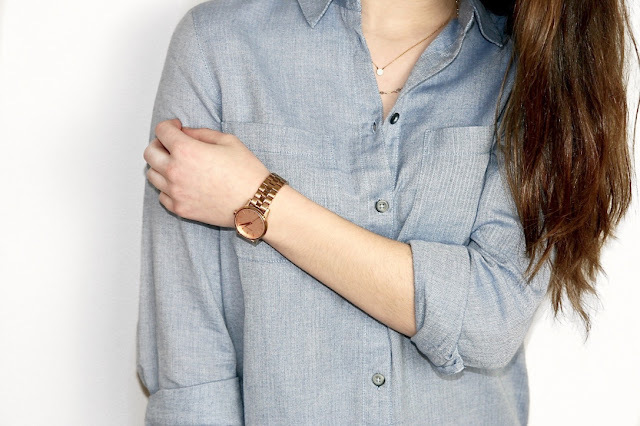 Then in Topshop I also got this beautiful chambray shirt. I do not need another shirt at all. But I made the mistake of trying this one on and falling in love with it. The fit and the fabric are just lovely and I think this will be a really versatile piece on it's own or for layering. We also had a quick look in Jack Wills before we headed home. I had been told by so many people that Jack Wills were having a really amazing sale but I never actually got around to having a look. I wish I had a bit earlier really, but I have probably saved myself a lot of money! I did pick up this stunning top that was about £60 down to £19! 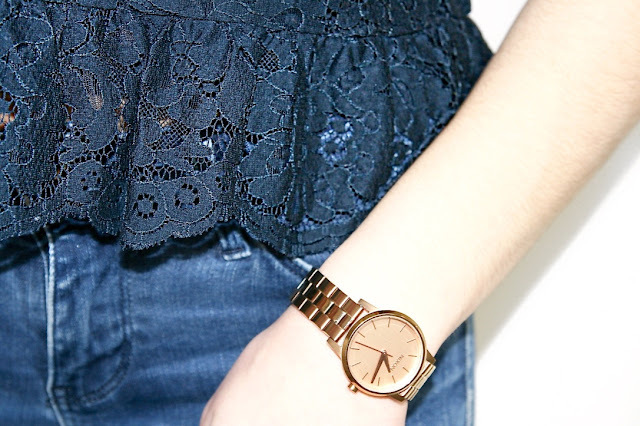 Once again it is navy and has beautiful lace detailing. It's a slightly cropped peplum top and I love that it has the cami build in underneath. The peplum detailing in just beautiful, and even thrown on with a pair of jeans (like my new high waisted ones) this looks really but together. It is great to be back in Manchester now that everyone else has finished their exams. Tonight we are all getting dressed up and going out for cocktails in Spinningfields. 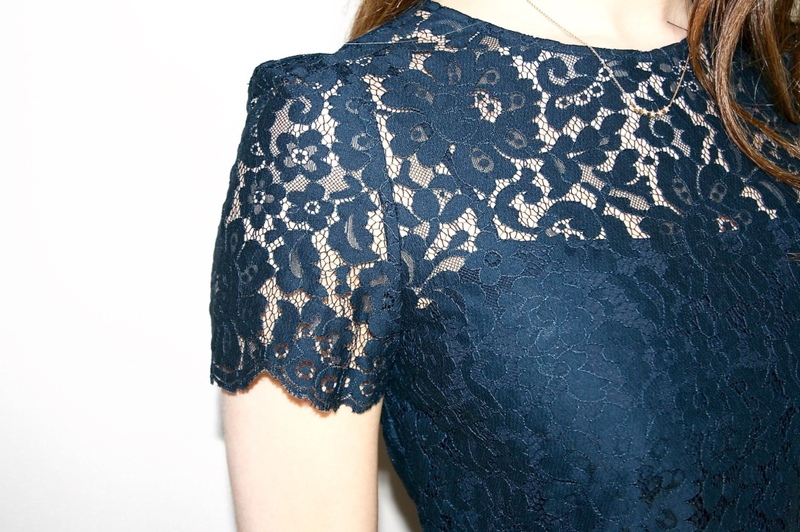 I'm going to wear my new Mango lace dress. No prizes for guessing the colour! And I'm just painting my nails in a new polish I got for Christmas, Essie Take it Outside. It's a beautiful grey/beige that I might try and take some photos and do a quick post on tomorrow. I'm really looking forward to dressing up and having a very classy evening. But right now I am in my PINK hoodie and we are going to order loads of pizza for dinner! It's all about balance. Great picks. Shirt is my fav.